After years of neglect, Microsoft is abandoning Windows Media Center for good. Anyone who upgrades to Windows 10 later this year will find that the living-room PC software is incompatible. The news has caused plenty of anguish among people who rely on Windows Media Center as the backbone of their home entertainment setups. I sympathize, and plan to test some Windows Media Center alternatives for a future cord-cutting column. Still, I believe putting Windows Media Center out to pasture was the right call for Microsoft. The product belongs to different era of entertainment—one that didn’t pan out the way Microsoft expected—and no amount of continued support would have whipped it into something that large numbers of people would find useful. That’s not to say Windows Media Center lacked good ideas. The question is whether Microsoft can usher those ideas into the cord-cutting age with the Xbox as its platform. From its launch in the early aughts, Windows Media Center embodied the classic Microsoftian viewpoint that the PC should be the center of the universe. The idea was that you’d either install a desktop computer in your living room or stream your office computer’s contents to “Extender” devices over a local network. 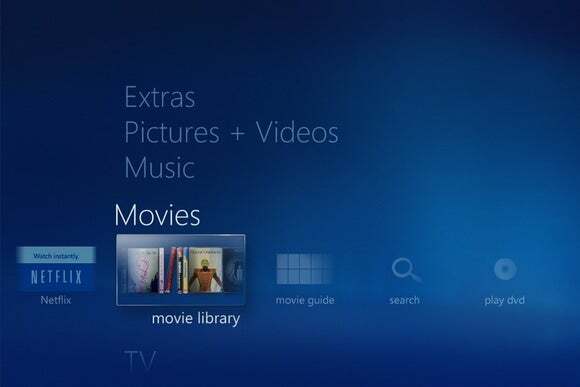 Windows Media Center would provide a TV-friendly interface, putting all your video, music, and photos in one place. Why mourn Windows Media Center, then? A major reason, oddly enough, is how good it was (and still is) at playing and recording live TV with an over-the-air tuner. I bought a cheap USB tuner last year, and was surprised by the ease with which the software handles live broadcasts and DVR scheduling. While other solutions are available, Windows Media Center is one of the most cost-effective. Media Center’s TV tuner support is its most redeeming quality in the cord-cutting era. Over-the-air TV is becoming an increasingly big deal at a time when more people are living without cable TV service. It pairs well with streaming services like Netflix, especially when you can record shows for later. In that sense, Windows Media Center was oddly forward thinking. But everything else about the software was not. I think Microsoft has realized what a powerful tool over-the-air broadcasts can be. 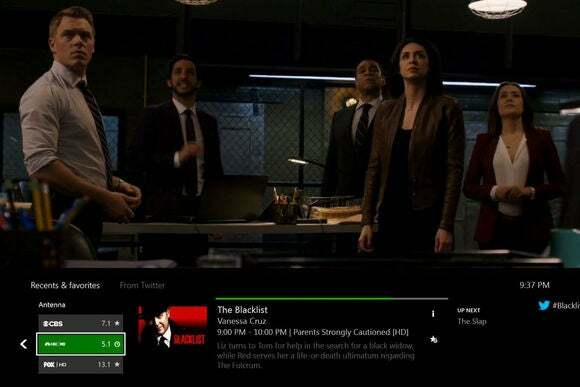 Last month, the company started testing official U.S. TV tuner support on the Xbox One, letting users watch live channels through the console with an integrated programming guide and optional Kinect voice controls. While unofficial tuners were available before, the official tuner supports pausing and rewinding live TV, and it lets you stream the video to Microsoft’s SmartGlass app for Windows, iOS, and Android. 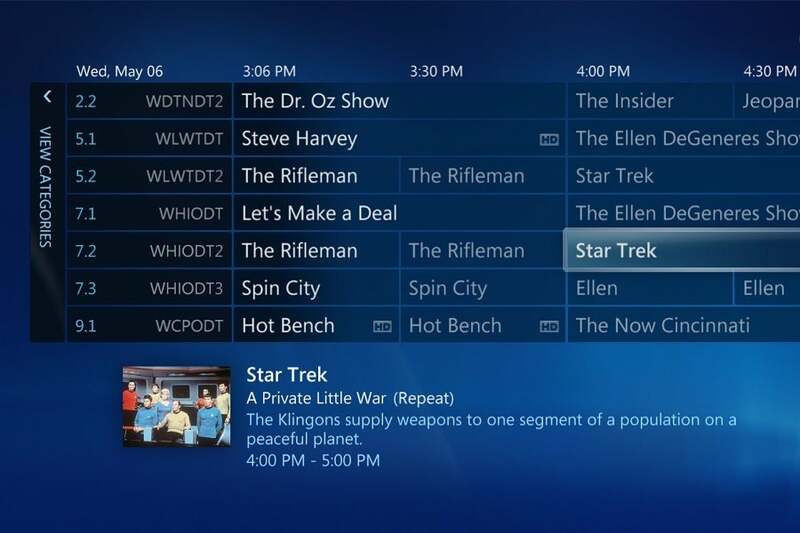 The Xbox One’s official TV tuner supports a full programming guide and time-shifting. There’s just one problem: The Xbox One is much more expensive than your average streaming set-top box, making it a non-starter for anyone who’s not interested in the console’s gaming capabilities. We’ve seen rumors of an “Xbox Mini” before; maybe the time is finally right. This isn’t the ideal endgame for home theater PC diehards, but maybe there’s a way Microsoft can cater to them as well. After all, the Xbox One will soon run on Windows 10, with a universal apps platform that extends across phones, tablets, PCs, and televisions. We’re getting deep into speculation territory here, but perhaps there’s a way for Microsoft to extend the same over-the-air viewing and recording capabilities to the PC. With the right modern apps and screen scaling, users could have an Xbox-like experience without giving up their living-room PCs. One thing’s for sure: It’d be easier for Microsoft to do all these things with Xbox and Windows 10 than it would be to breathe life into Windows Media Center, with its stodgy interface and non-existent app ecosystem. It’s better to mourn and move on.